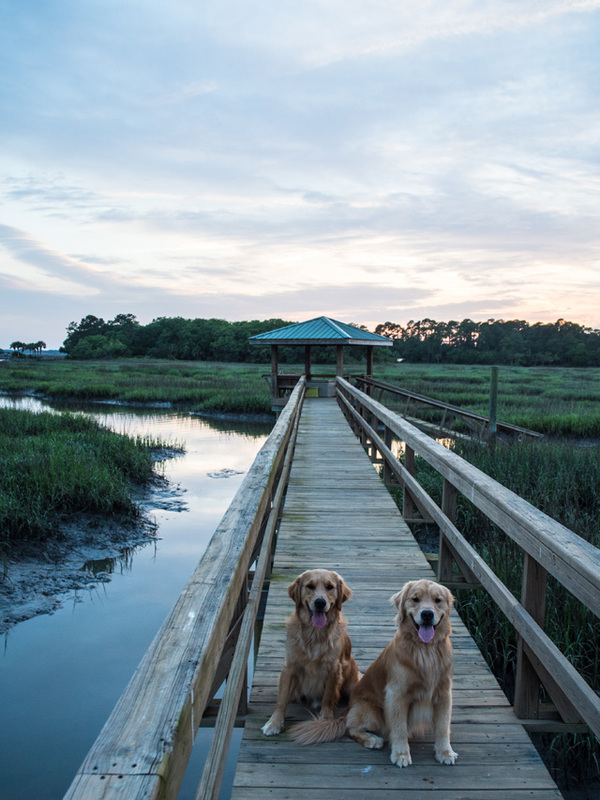 It's been a while since I brought you guys an update with the two golden boys in my life. Of course I'm speaking of the beloved Boomer and his brother Brody (the newer addition to the family). 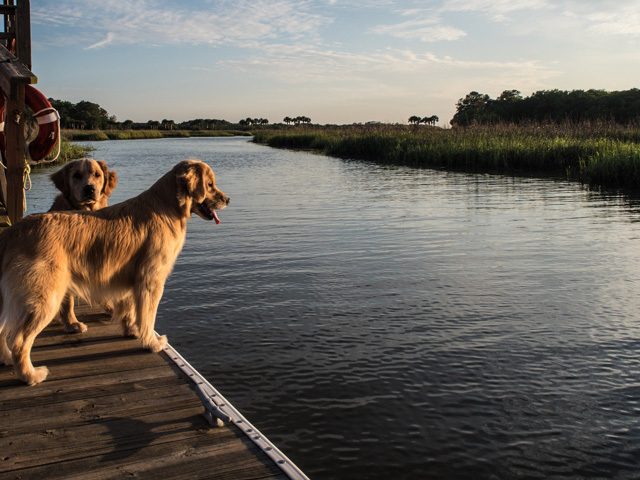 Last month I was home with the two trouble making golden retrievers and we spent a number of days exploring the water. This is a first for the boys. 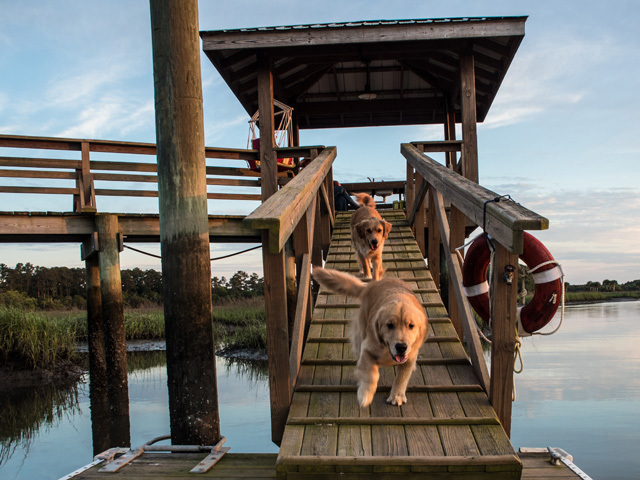 We've waited until they were "adult" enough to handle the rules of being dock dwellers. The day came and out we went, to the water. The reaction was, well, hilarious. 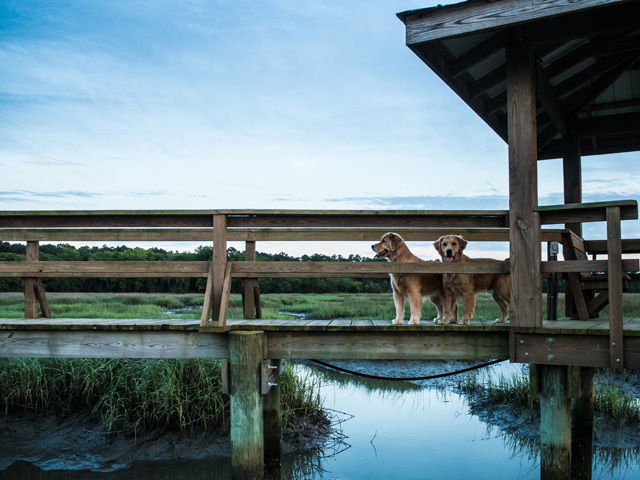 Both pups were over the moon and let me snap away as they explored this crazy moving surface that carried everything from fish to large pieces of wood past the end of the dock. 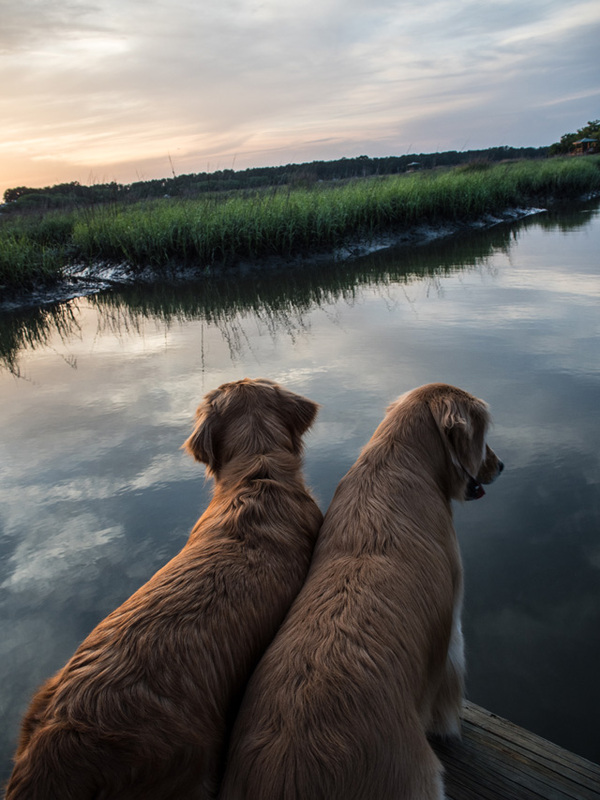 The idea of a moving body of water was completely foreign to these two. Then I jumped in and that threw them into overdrive. Their rescue instinct overwhelmed them and Brody went straight into the water - head first. His first interaction with the water involved a swan dive. He didn't come up for a few seconds and I'm not going to lie, we were panicked. But, up he finally came and he swam over to me with a look of absolute terror in his eyes. 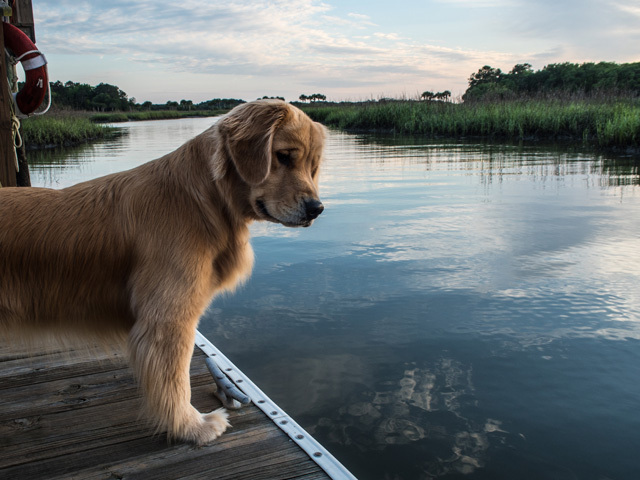 Never before have I seen a golden more terrified of water. Maybe waiting wasn't such a good idea after all. Boomer was a little bit tougher to get into the water. He paced up and down the dock as I swam and finally fell in. Truly, he had no intention of actually going in. The poor pooch. 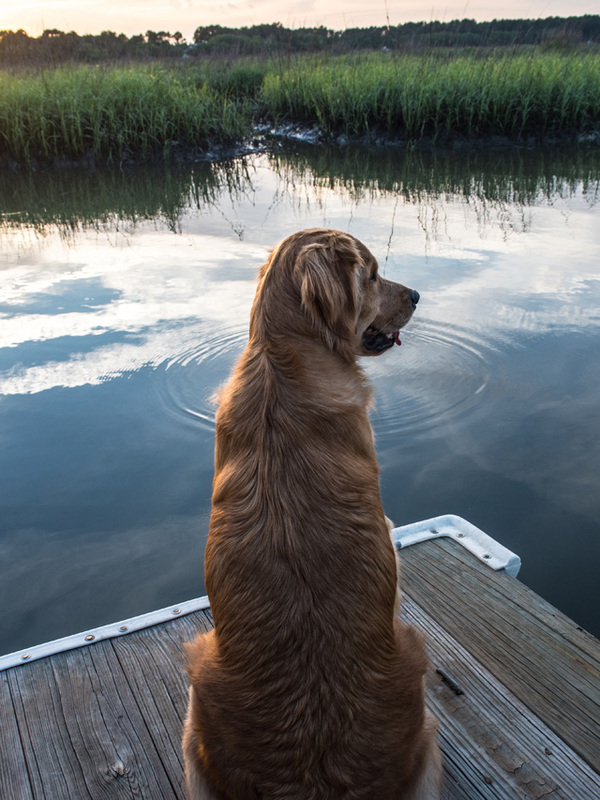 He swam over to me and wrapped his paws so tightly around my shoulders that I was left with bruises. 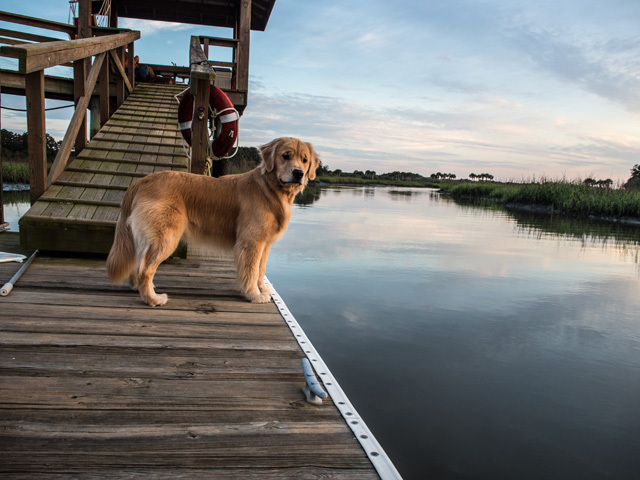 Needless to say, our first water experience was one that taught us all a lot - mainly that we need to start with the ocean, not the open waterway from a dock. Naturally, I don't have any pictures of the actual water experience. But I do have the dried aftermath, when we made our way down the dock later that night to enjoy the sunset and take another look at the water from a safe distance. I think both boys were relieved I didn't dive in.